After splurging in December, January might not seem like the best time to get your finances in order, but putting it off will only make it harder to tackle at a later date. There are some simple steps you can take to help you manage your money. Are you paying the right amount of tax? It may be worth seeking the guidance of a financial advisor to ensure you are paying the smallest amount of tax you can and that you are making the most of tax-free allowances. Check how much flexibility you have to move savings and investments around to get the best deal. Many saving account interest rates drop after an initial period, so switch to increase your gains. Protect your loved ones’ future by setting up a will and taking out any relevant insurance. Take a few easy steps to improving your health and wellbeing this year and you’ll be sure to reap the rewards. Visit your GP to check your blood pressure and cholesterol levels and get some diet and health advice. 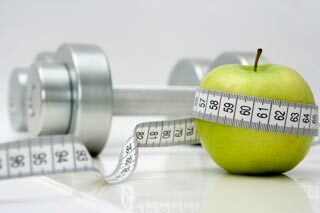 Try to increase the amount of exercise you do by adding small additions into your daily routine. Something as simple as walking to the shop instead of having your paper delivered can make a big difference if done every day. Make more time for the people you care about this year. Setting up social groups like a book club or poker night (playing for matchsticks of course) can be a good way to bring people together more regularly, or if you’re a whizz in the kitchen you could try recreating Come Dine With Me with friends and family. Whether it’s finally starting that DIY job you’ve been putting off, or giving your study a thorough spring clean, feeling happy with your home will make you feel more centred and relaxed. Whatever changes you decide to make this year, keep a list and tick off everything you complete. The less you have to carry forward to next year the better! Can you still get a loan if you have bad credit? Are You Financially Prepared for Winter? I do a check every quarter but the end of year is the big one. I check bills to, to make sure I get the best rate all around. Setting up a will is on my 2014 to-do list. I don’t have any dependents (and I’m single) but I want my parents/sister to have access to all of my money in the case of my untimely demise. I also would like to stipulate my medical directives, which sounds morbid but they’re important. My plan is to declutter and sell my stuff on ebay. I’ve been putting it off for months. Solid advice here. I like to get my priorities in order on a monthly basis, but especially at the end of and beginning of each year!